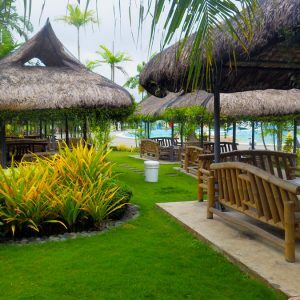 The Haciendas De Naga Resort is an alternative to the many regular hotels in Naga City. 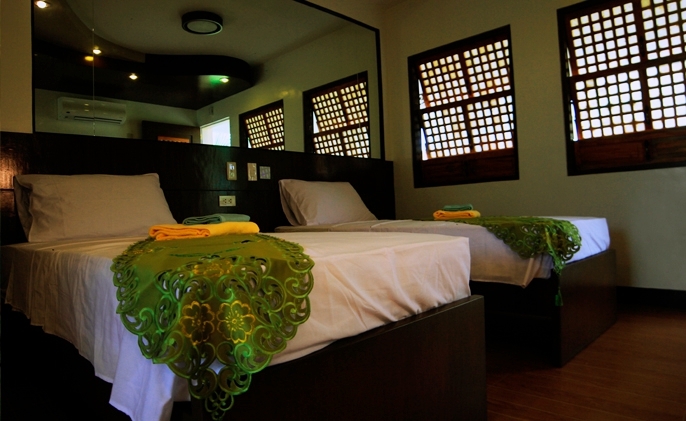 Totally different from lackluster hotel rooms which, in essence, are just constricting, concrete boxes, Haciendas De Naga’s hotel villas are like your home away from – only better; they have all the conveniences and amenities you could want in a hotel but has all the warmth, color and personality of a vacation home. The hotel villas, found poolside for easy access to the wave pool complex, are done in earth tones and accentuated by traditional Filipino Capiz shell windows. They radiate classical elegance, warmth and cozy charm. To ensure that hotel guests will feel comfortable and at-home, every hotel villa has its own kitchen and pull-out breakfast nook. 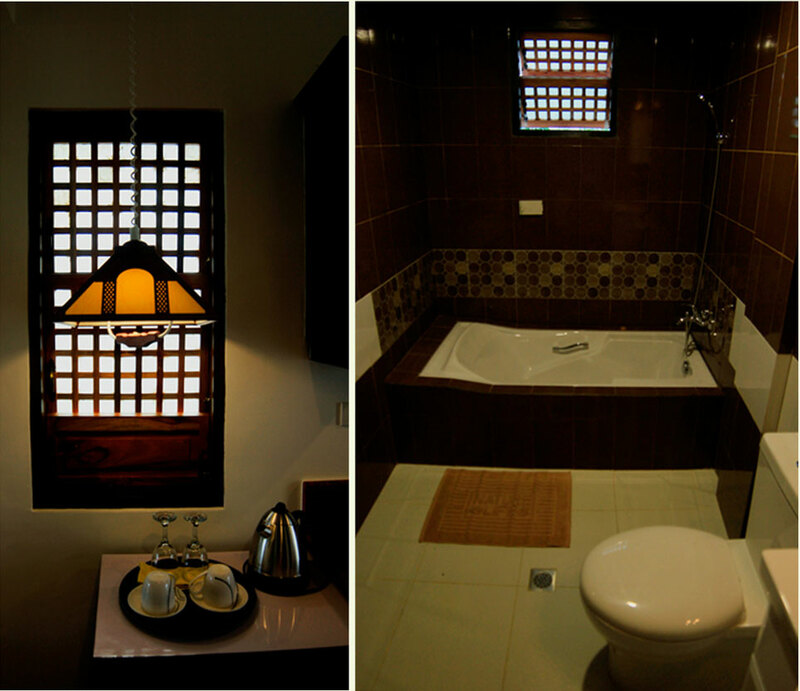 The private bathroom is equipped with hot & cold water, a shower and a bathtub. Air-conditioning is standard, of course. However, guests may choose to do without air-conditioning, if they wish, to enjoy the rejuvenating mountain air. 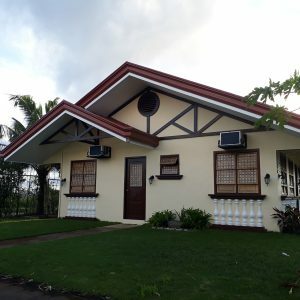 Hotel villas without air-conditioning are identical in every aspect and in all amenities (except air-conditioning, that is) to hotel villas with air-conditioning. Book a Hotel Villa Now! There are 8 hotel villas. 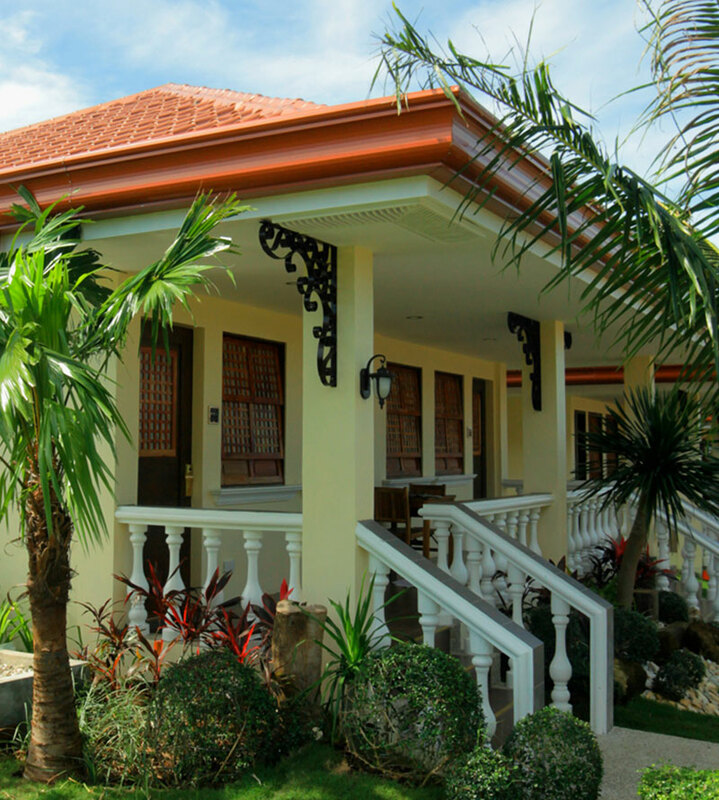 Hotel villas have a standard occupancy of 2. They may accommodate up to 4 persons, with extra persons subject to extra-person charges. Children up to 5 years old may stay for free with their parents in a hotel villa. Children 6 years old and above are considered adults and subject to extra-person charges.